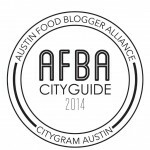 The Austin Food Blogger Alliance City Guide (#atxfoodguide) was first created by a group of Austin food bloggers in 2010 as a resource for visitors in town for SXSW. The guide is updated and expanded yearly to share posts from local food bloggers to help out-of-towners and locals navigate the ever-changing Austin food scene. 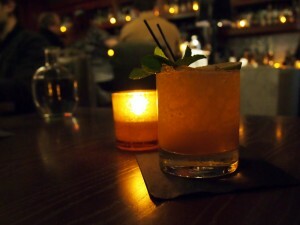 Bar Congress is the best place to enjoy a cocktail downtown when you need a break from mayhem, music, heat, and food trucks. 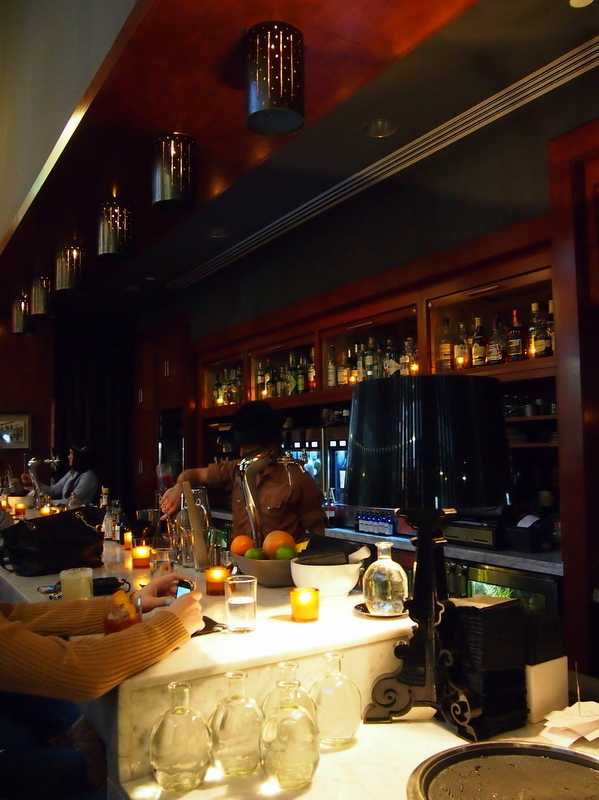 The cozy space– about a dozen seats at the bar and a few small tables– can be accessed by a Congress Avenue entrance or through its sister restaurant, Second Bar + Kitchen. 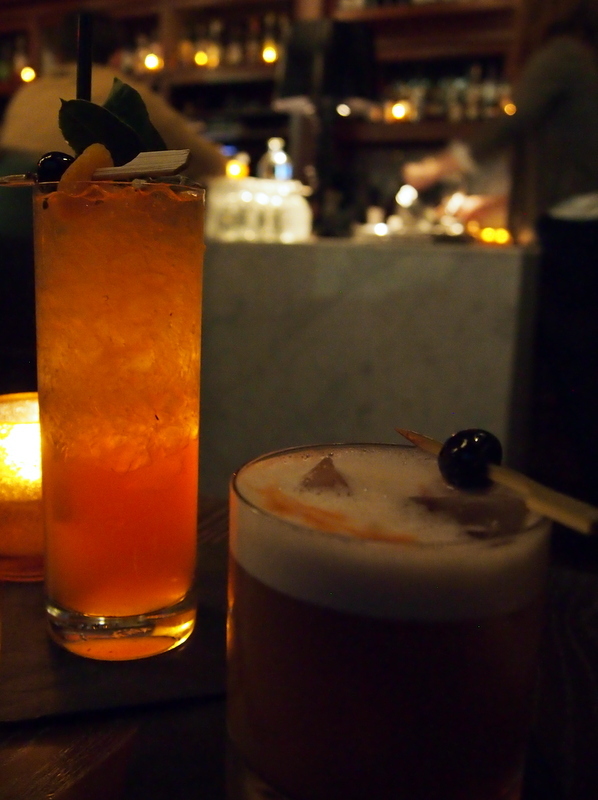 The bar has a small selection of beers, most local, and a notable wine list, but what makes Bar Congress worth a visit are the mixed drinks. 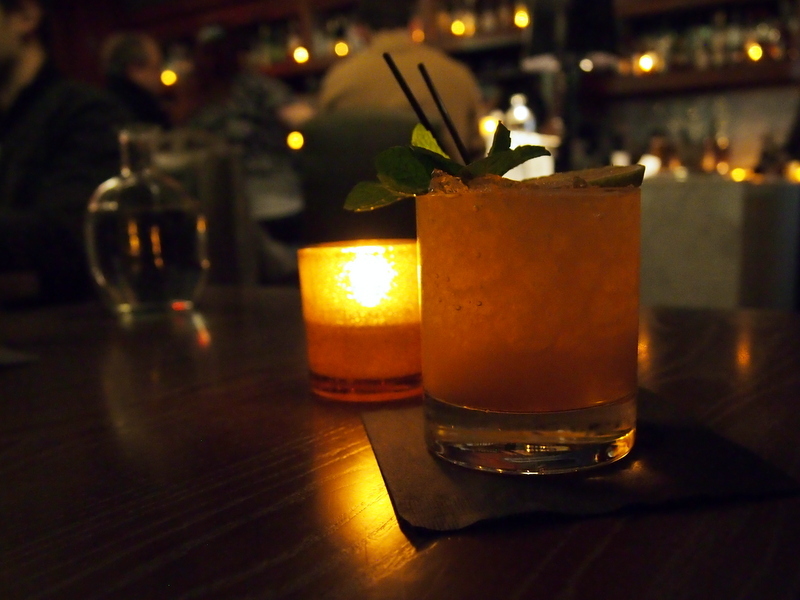 There are an increasing number of locations in Austin to get a fine cocktail, but Bar Congress combines classic techniques and an attention to detail with unique flavors and house made ingredients to create beverages that are unrivaled in taste and quality. Every time I read the ever evolving house cocktail menu I inevitably have questions. The bar staff is always extremely knowledgeable and friendly and always able to guide a thirsty patron to the right libation. I would encourage a first time visitor to start by sampling a shift shot or two. These pre-mixed spirituous tasters give you the opportunity to sample some of the flavor combinations that characterize the menu. If you are at all peckish don’t miss out on the bar menu. Bar Congress shares a kitchen with Second Bar+Kitchen and the fries, kale chips, buffalo pickles, and other small plates are some of the best bar food in town. 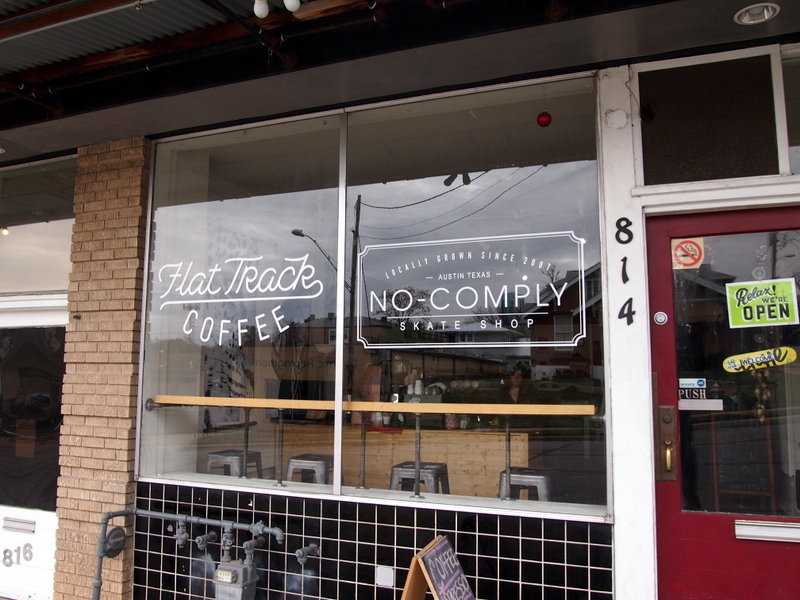 Flat Track Coffee is a small Austin coffee roaster with a tiny espresso counter located in the back of Farewell Books on Austin’s East Side. 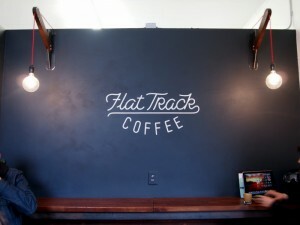 Flat Track prepares coffee for the aficionado and newbie alike, but don’t come here looking for caramel whip anythings. 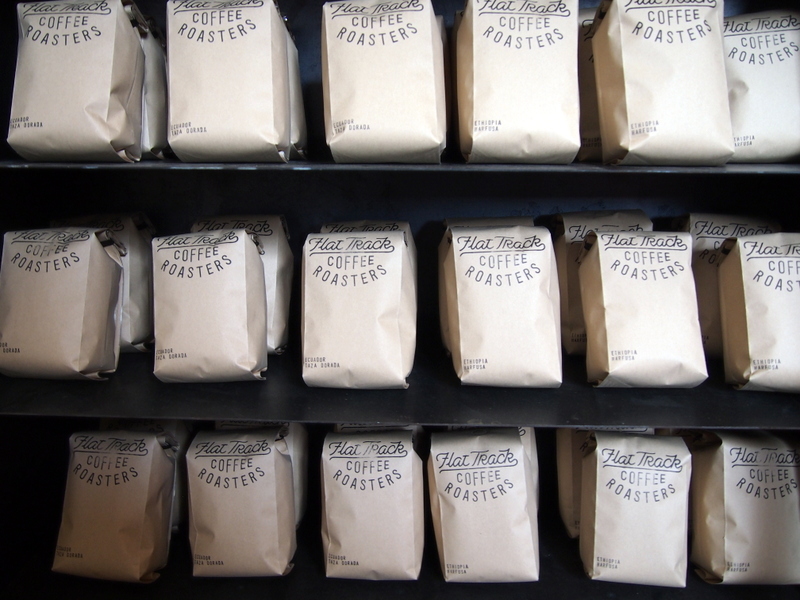 The baristas carefully prepare espressos, cortados, lattes, and other espresso-based drinks using their in-house roasted beans. Expect to find a rotating selection of single origin coffees, but don’t expect to park with your laptop and surf the web. 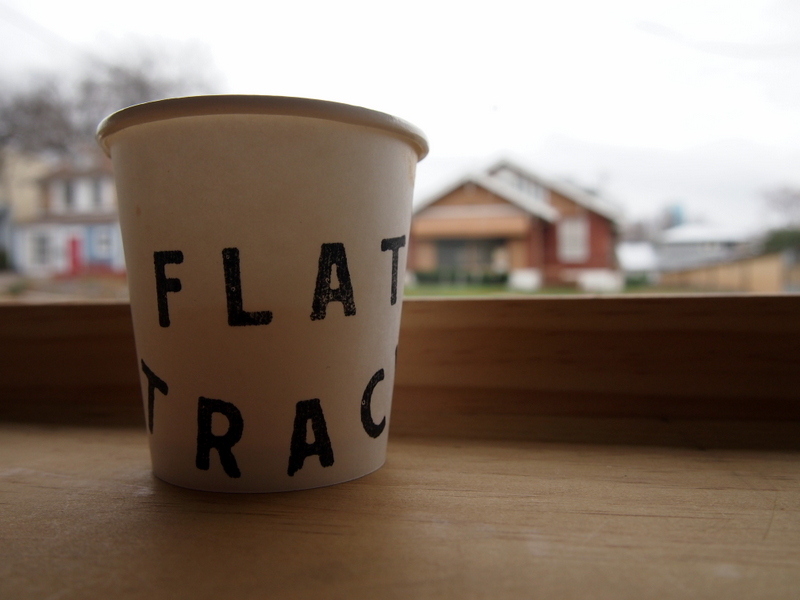 The owners of Flat Track decided not to offer WiFi, which is actually not a bad idea for such a small shop. 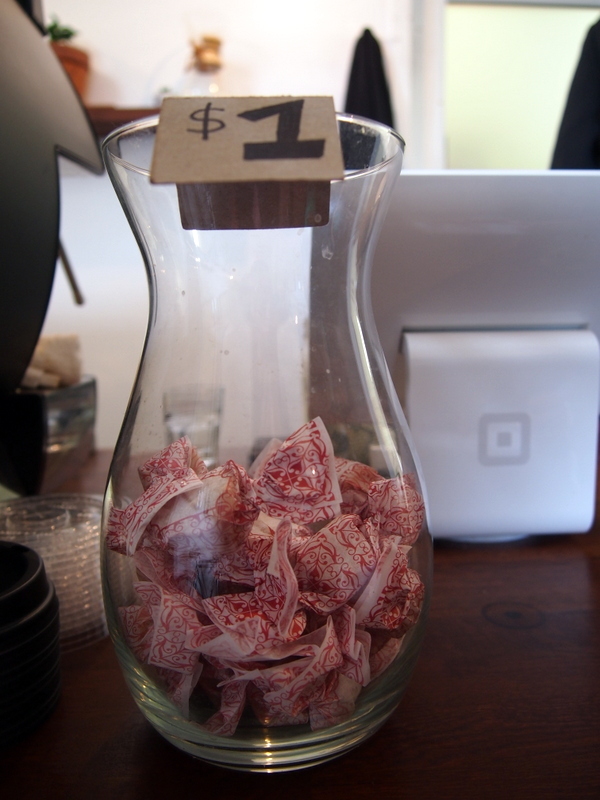 Rather, customers are encouraged to chat with the baristas, owners (who are often there), and each other. In addition to their prepared coffees, Flat Track also sells bags of their house roasted beans, growlers of iced coffee, branded apparel and rags, and some truly delightful scratch-made caramels from Butterdays Confections (owned by Flat Track barista Emily Jackson). 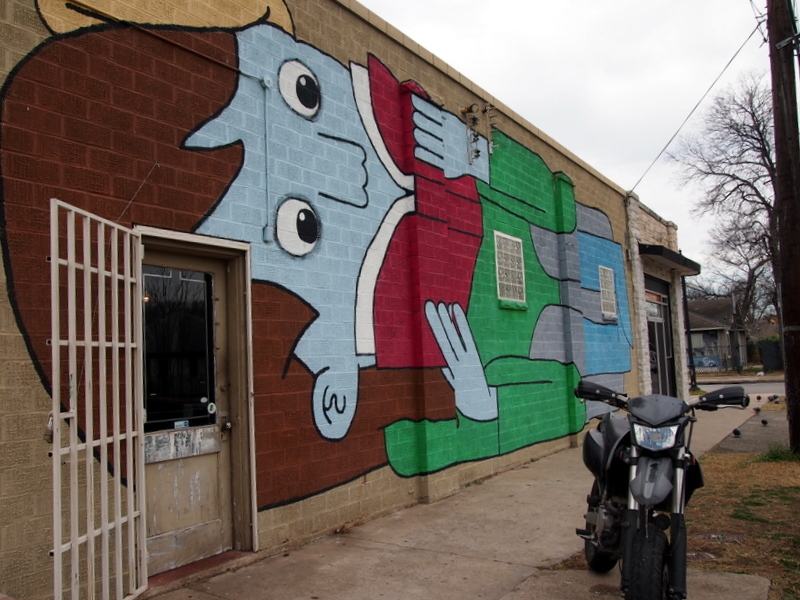 Recently, Flat Track opened a second location inside the No Comply skate shop on W 12th Street. This location, as it caters more students, sells drip coffee along with espresso and espresso-based drinks. Additionally, the No Comply coffee counter also has house-made vanilla syrup, and ganache and caramel syrups made by Butterdays, so you can order flavored coffee drinks.